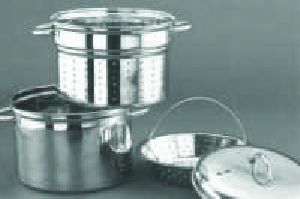 Handle/Knob : Variety of Stainless Steel/Bakelite/Knobs to choose from. 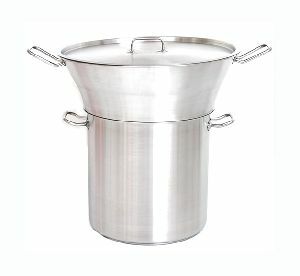 Size : Cap. 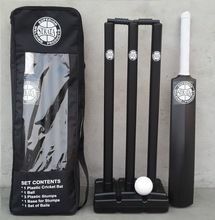 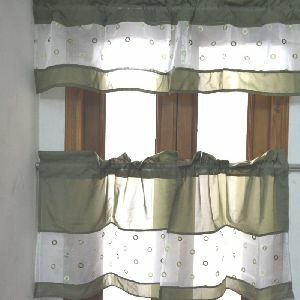 8 qtr. 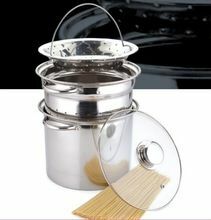 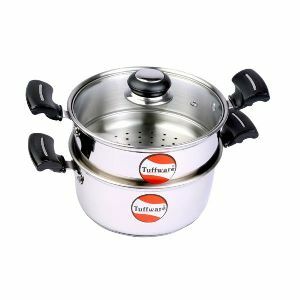 Make way for healthy cooking with this incredibly high quality stainless steel Steamer Set from Tuffware. 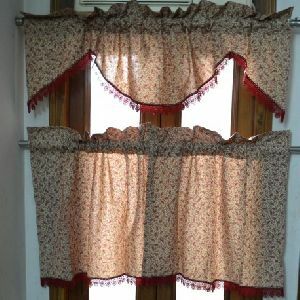 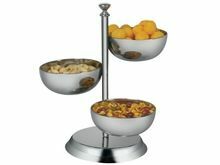 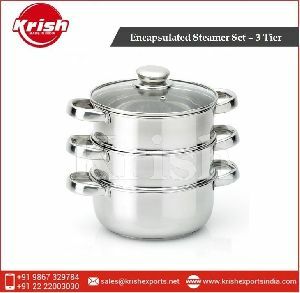 With an appealing design, it not only looks good in the kitchen, but also aids your non-oil based cooking for steaming vegetables, meats, idli’s, momo’s, soup, dhokla etc. 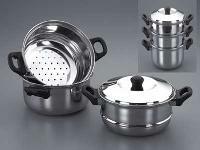 We are leading best 16Pcs Steamer Stockpot Set supplying company. 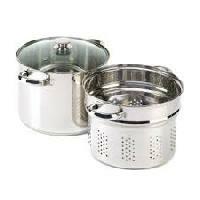 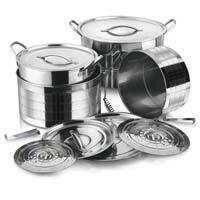 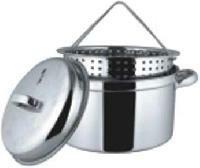 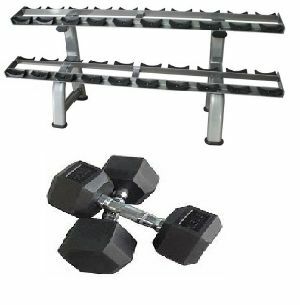 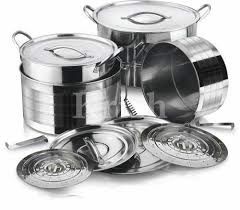 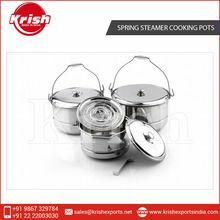 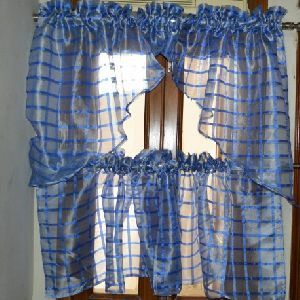 Our organization offering best steel steamer set supplying company. 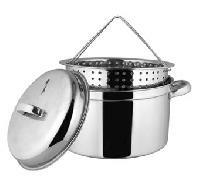 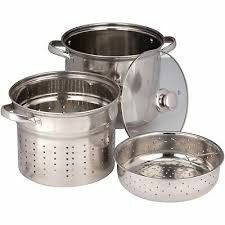 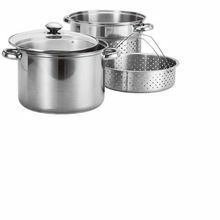 Multiple use stockpots with steamer meant for cooking Stews, Soup, vegetables, casseroles, tamales and much more. 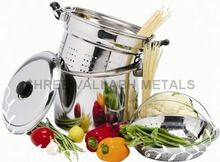 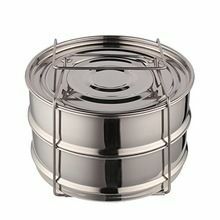 Manufactured using high quality, thick & durable Stainless Steel with rolled edge and rivetted, helpful side handles for easy handling and with perforated metal disc that sits at the bottom to keep cooking items and tamales out of hot water.